There's a reason deep frying will never go out of fashion — it makes food taste great. 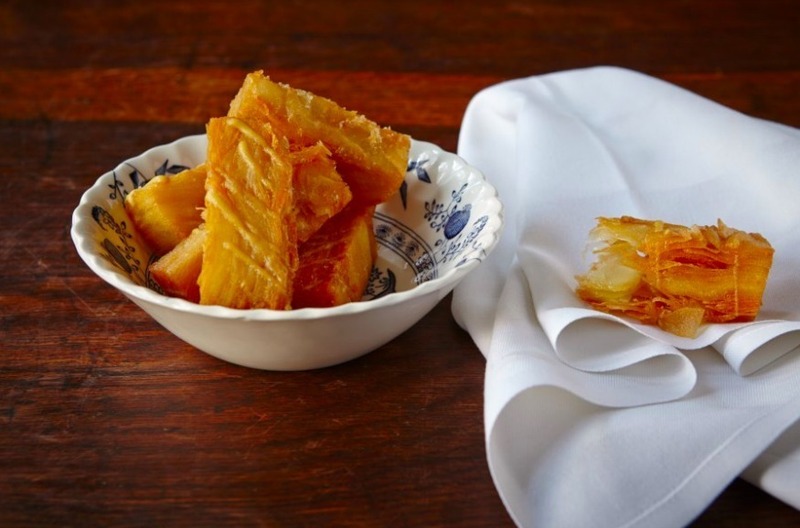 From classics to current cult favourites, here's our pick of London's best deep fried foods. The famous confit potatoes at Quality Chop House take a plunge in the fryer to finish. These potatoes will go down in London restaurant menu history. They are better than any roast potato, or indeed any chip you've ever eaten; in fact, tasting one will ruin all other potatoes for you, forever. They're very labour intensive to make, apparently, as the finely sliced potatoes are cooked first in dripping then deep fried to finish — not exactly ideal in the middle of a restaurant service. Anyway, that's not our problem. If you haven't eaten them, do it as soon as possible. Especially if it's cold outside. Deep (flavoured) bass at The Begging Bowl. 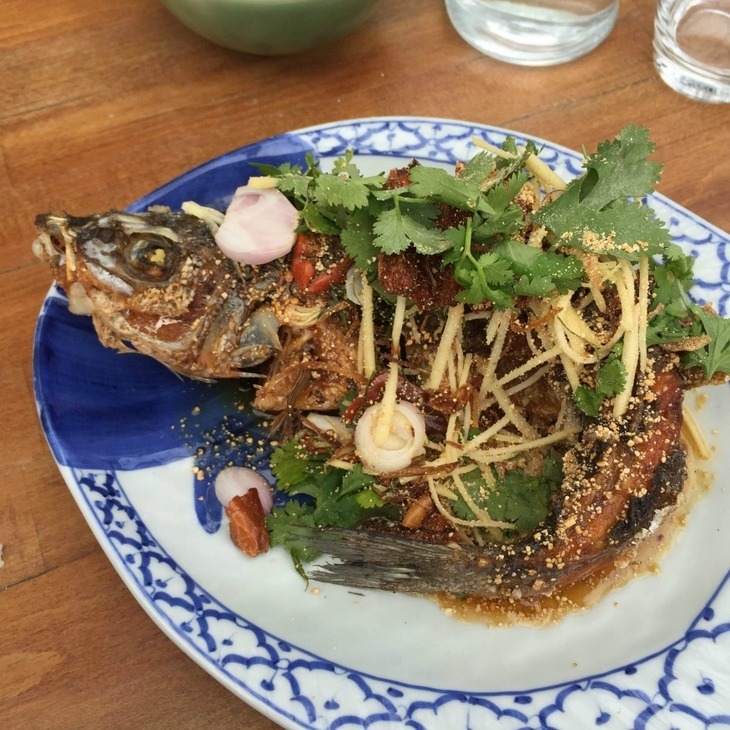 Some may gasp at the idea of a seabass being cooked this way but trust us, it stands up well. Its curved appearance is due to the deep oil dive it takes before being drenched in a sweet-sour sauce, zingy with lime, and scattered with lots of excellent nibbly bits. We're talking frilly curls of coriander, sliced chillies that leave lips abuzz and toasty ground rice. You'll pick every last nugget of flesh from the bones. The many layers within. Photo by ccho on Flickr. Another cult food item here in the form of the hybrid pastry that took New York and then London by storm. 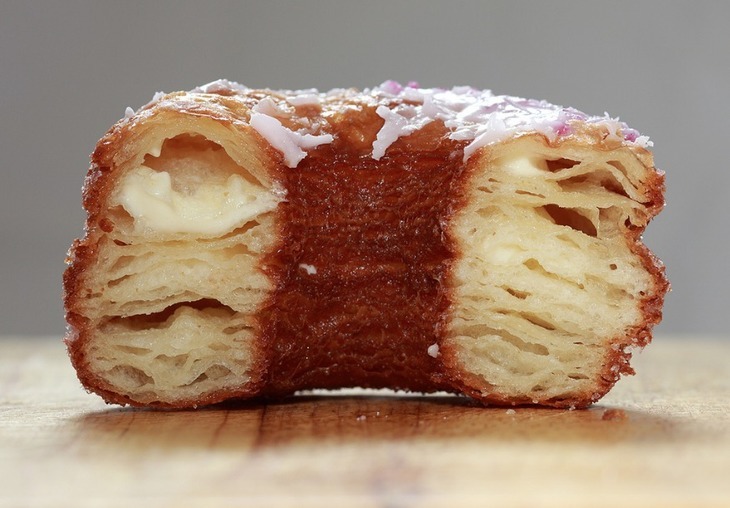 We all know by now that this is a cross between a croissant and a doughnut, with its layers of flaky, laminated dough, piped with cream then fried and glazed. They take three days to make but again, not our problem. All we need to know is where to get one. Hint: his new bakery which has just opened in west London. Wibble. A croqueta at Pizarro. We think Jose Pizarro's kitchens make the best croquetas in London, and there is some serious competition. The reason they're so good? It's all about the wobble of that super creamy béchamel quivering inside its thin, golden shell. 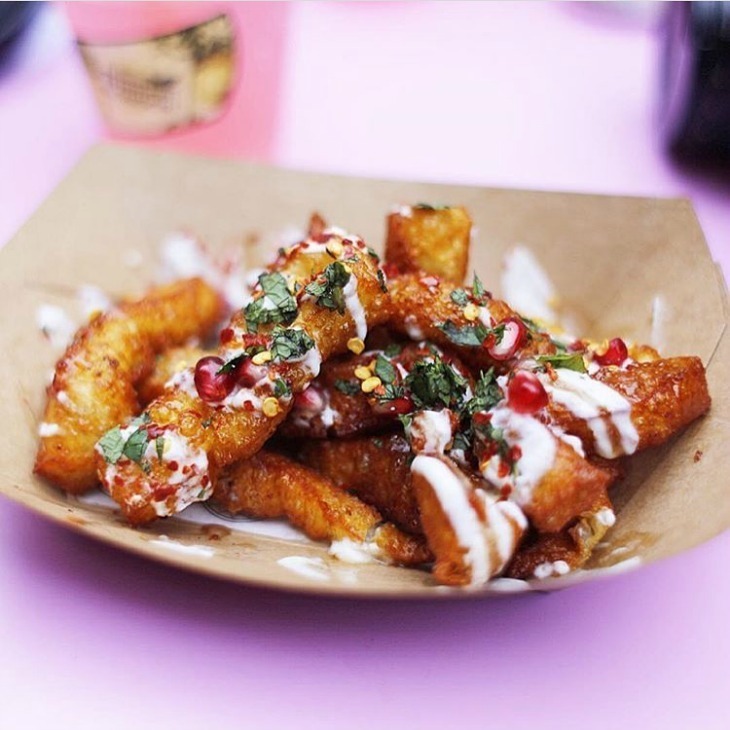 These halloumi fries started emerging hot and golden from the fryer at Oli Baba over the summer and London couldn't get enough. Sticks of the salty cheese are crumbed, fried and topped with za'atar yoghurt, pomegranate molasses, pomegranate seeds, chilli, mint and sumac. 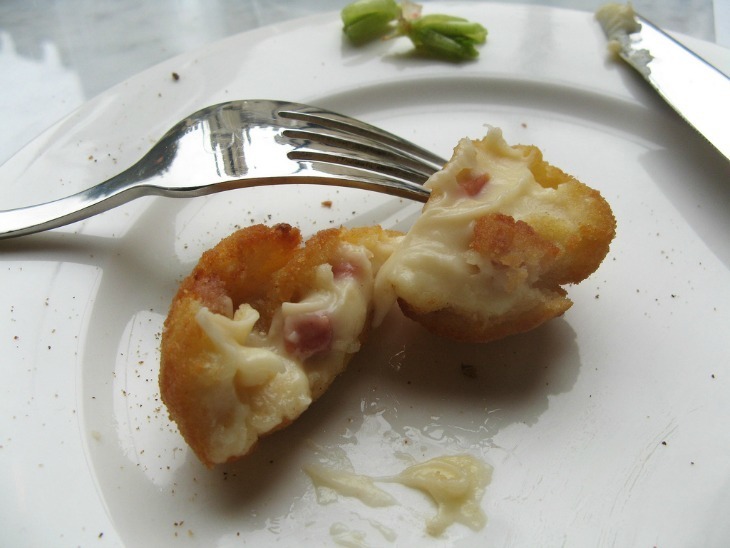 The sharp freshness of those toppings is the secret to their success because, well, deep fried cheese is quite rich. Smokestack is right near the top of London's coolest restaurant list. They've been doing their thing at Street Feast Dalston Yard for a while and have now opened a branch in Shoreditch. Photos of their incredible BBQ meat is all over Instagram. These guys really know their stuff. 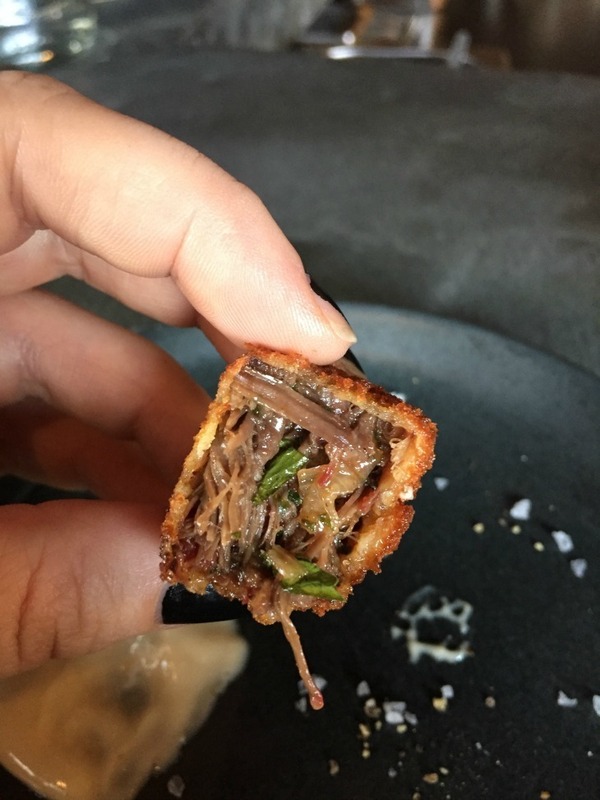 Just have a look at these ox cheek nuggets, filled with softened shallots and tender meat. Swipe through the anchovy mayo and laugh about how you ever thought chicken nuggets were the one.